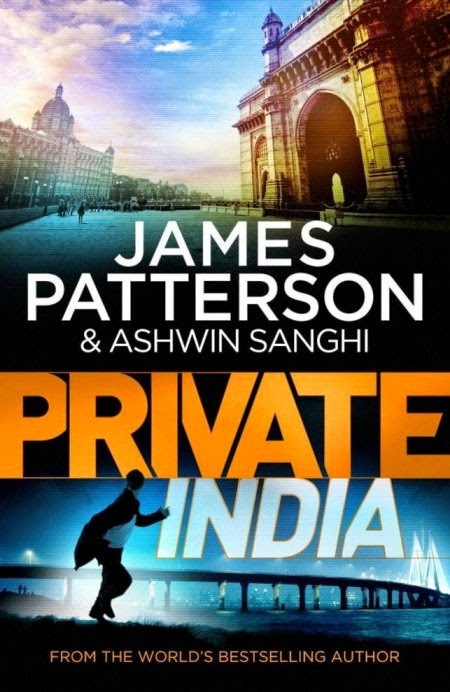 I must confess at the outset that unlike others I have not read either James Patterson or Ashwini Sanghi in the past. Yes, I heard you gasp. And that made me realize how little I have been reading of contemporary authors, especially the Indian ones. In fact, I read the whole Meluha series (err, Shiva Trilogy) by Amish only last year. But then, maybe not knowing about the previous works of Patterson and Sanghi is not a bad thing after all. I would be reading the book with an unbiased, novice eye without any expectations or reservations, whatsoever. So, let’s take a look at the book now, shall we? Now, this is what attracted me and led me to apply for the book at blogadda. I am a total sucker for murder mysteries and if it involves strange rituals and objects with sinister undertones, the merrier I expect it to be. A la Da Vinci Code and the others by Dan Brown. Well, to be honest, the book does have its Dan Brown moments when Santosh Wagh, an ex-RAW agent and presently the head of Private India, delves into ancient Indian cult history and mythology to solve the murders. He is periodically distracted from his duty by flashbacks about a murky past. But then he is not the only one with a dark background. Santosh is ably supported by his team; prolifically Nisha Gandhe, and even Jack Morgan, his boss and head of the agency, comes into the picture. Although there are a number of characters, you do not get confused or forget them. Maybe because they lead very different lives and are adequately defined. I particularly liked the character of Nisha – she evoked images of a bold and spunky agent, not afraid to take things into her hand alone. Another factor that worked is the city where the plot is based – Mumbai. With its seedy bars, scheming underworld and the ubiquitous local train, it provides a familiar background to the Indian reader. The book is also a quick read. It is not too complicated and makes for an easy, breezy read if you have a couple of hours in hand. Umm…a number of things actually. I thought the ISI sub-plot and references to the Mumbai blast were quite unnecessary. Santosh’s flashbacks were too often and could have been edited. Although the agency had a hi-tech equipment to check data, which proved links between murders, it was a bit surprising to see that it failed to show up anything, given that the link was quite glaring. Or maybe it was obvious only to me. I also felt that the character of Munna was overly emphasized on and dispensed off quite tamely, while Nimboo Baba’s character was not given its due. Finally, the explanations behind the murders as admitted by the murderer were quite rushed and not substantial enough. A bit of a let-down after the murderer was revealed in a twist. So, would I recommend the book? Well, like I said earlier, go for it if you don’t want to tax your mind too much and just want to relax with a fast thriller on a Sunday afternoon.